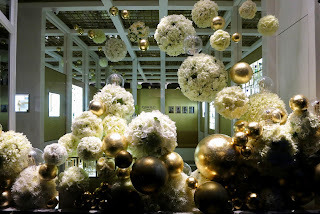 Its not often we see real flowers in a window scheme but here at Creed Boutique there is quite a spectacular installation using beautiful White flowers in a repetition, gravitational. 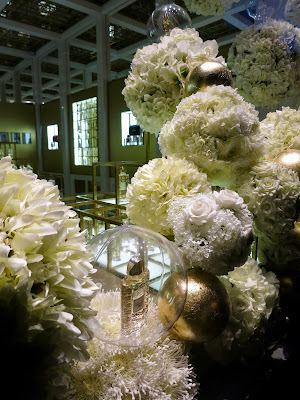 spherical dynamic which is punctuated with some of their beautifully packaged fragrances. If you are not familiar with this brand, it dates back to 1760 and they sell fantastic fragrances, candles and bath and body care products. If there was one place where you could indulge yourself then it clearly has to be this one.